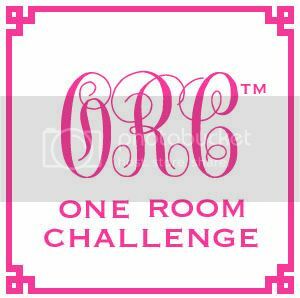 The One Room Challenge is back again! What's the ORC you ask? It goes like this: 20 bloggers, 20 rooms, 6 weeks, GO. I might be crazy to do this to myself again, but with such an amazing group of bloggers how could I say no? Check back in on Wednesday to see what room I'm doing this time AND to find out the other 19 bloggers participating. I'm getting my stash of wine ready now. It's going to be a crazy 6 weeks! So pumped! Let the virtual wine dates start!